Carnival cardsharp Eustace McGargle (W.C. Fields) adopts the daughter (Carol Dempster) of a society woman who ran away from her disapproving parents (Erville Alderson and Effie Shannon) after marrying a circus man. 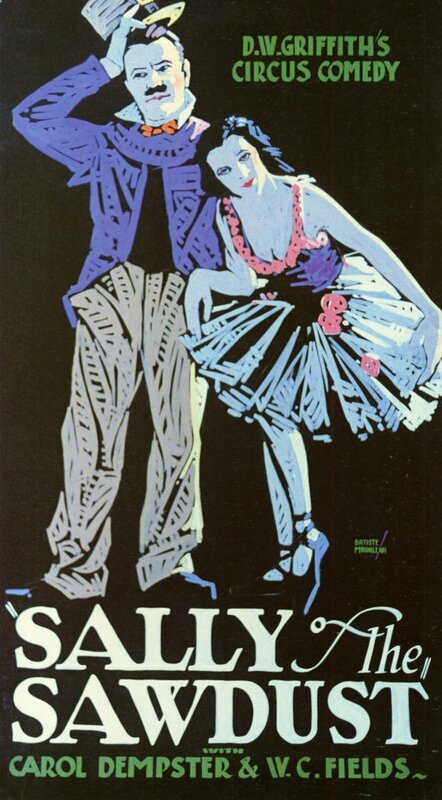 When Sally (Dempster) grows up, McGargle decides it may be time to introduce her to her real family, and takes her to her hometown of Green Meadows, where Sally falls in love with a wealthy young man (Alfred Lunt). Critics have noted that this relatively late-career outing by D.W. Griffith (which unfortunately displays none of his distinctive directorial genius) would have remained merely a historical curiosity if it hadn’t offered W.C. Fields his first leading role in a film. 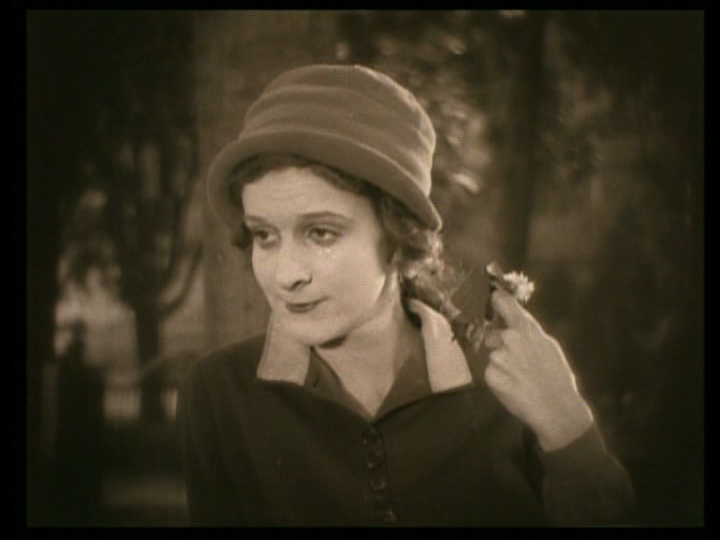 Based on a 1923 musical play, the film’s storyline — as in the 1936 remake, Poppy — is strictly pedestrian melodrama, complete with an unrealistically happy ending and far too much slapstick humor. 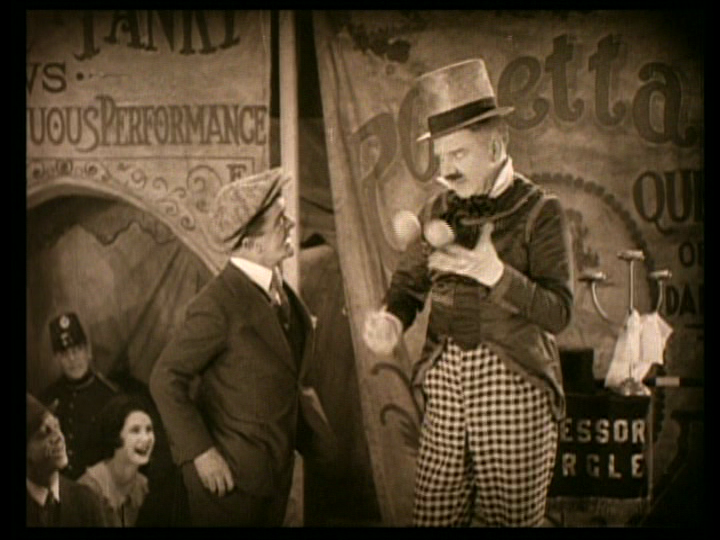 What makes it worth at least a cursory look are two primary elements: the opportunity to see a slightly slimmer Fields in a non-speaking role, performing some of his most famous carnival routines without the benefit of his characteristically nasal twang; and the remarkably “modern” central performance by Griffith’s real-life mistress, Dempster, a leggy, athletic, unconventional beauty reminiscent of Australian actress Rachel Griffiths. Note: Apparently Dempster’s best role was in Isn’t Life Wonderful? (1924), a highly regarded Griffith film which isn’t listed in Peary’s book, and which I haven’t seen. No; this one is only must-see for diehard W.C. Fields fans. In overall agreement with the review. There is nothing particularly noteworthy about this film. It’s longer than it needs to be – but, even if it were shorter, it’s still very much tied to the nature of simple entertainment storylines of the period. It’s true that Dempster resembles Rachel Griffiths but I hadn’t thought of that at first. Instead, she was seeming to me as a kind of mix of Carol Burnett and Maggie Smith, for some reason. The extended courtroom sequence – in part – caused me to perk up some…when Dempster is being particularly athletic; so much so that she manages to reach and climb out a high window. I did giggle. ‘SOTS’ offers a rare opportunity to see the famous stage actor Lunt (here without his famous wife & stage partmer, Lynn Fontanne; they made only one film together – ‘The Guardsman’, in 1931). Alas, Lunt is not called on to do much in ‘SOTS’. I’m not a huge Fields fan (as I’ve said elsewhere) but it’s mildly interesting to see him in a more reserved, reined-in performance.